Angel Number 1122 encompasses several dynamics. There is the energy of one and two as well as the vibrations of 11, 12 and 22. One represents the sacred self with all its potential and power – a beginning of something wonderful, an adventure in learning your soul’s true purpose. The appearance of 1122 in your life can offer you insight on how to fulfill your life’s path. Two illustrates partnership. We are not alone in our quest for enlightenment. Our Angels, Guides and even the Divine join you, offering assistance. Two symbolizes the advent of you becoming a co-creator in your fate. Moving on to Angel Number 11, this represents an awakening on a level you’ve never experienced before. The light in your life glows brightly. It attracts people, who feel the love and joy radiating from your spirit. 11 also represents eternal truths – those things that are patterned in the Universe forever. Following that truth is key to aligning yourself with all of Creation. Sacred number 12 speaks of improvement. Each of us has parts of our lives that could use a bit of polish. Whatever that is, Spirit is turning your attention in that direction. There’s no getting away from it so you might as well tackle it now. Sure, it’s not the type of message any of us really wants anymore so than that chiding call from a mom about things we’ve neglected. Nonetheless, you’re not being asked to do this alone. Trust in your supports. But, what of 22? This number resonates with attainment, so you have a building sequence here. With 1122 you start with self and personal awakening. That awakening makes you aware of things that need correcting, and once you do that you move on to fulfillment and completion of at least this stage of personal progress. The Angels bring you the number sequence 1122 when you are achieving real inner peace that eventually brings you into facilitation mode. When you trust your inner voice and follow it bravely, everything starts changing. Be it home, work or play you feel things improving. As a note of interest, the 22 part of this figure is the number associated with the Archangel Raphael. In heavenly realms, he is considered the great healer. Besides this attribute, he also protects travelers and good-hearted cupids. If you have been struggling with health-related matters, call on him for comfort. Those thinking of going abroad would do well to honor him in some way for safe travels. Also, of course, those matchmakers out there – you want to do the right, best thing when encouraging relationships. Let Raphael’s blessings guide you. Because 1122 carries two master numbers, it’s a double-whammy of lessons and insights. The doors of opportunity are swinging open. Step through to discovery! You need not cling to the past and unrealistic expectations. 1122 says, break free and move forward. In working with Angel Number 1122’s energies, you will often find yourself inspired in unexpected ways. Be it a small thing like a gossamer feather or something larger like urban art; you may want to keep a notebook handy. Each of those sparks gathers together to create a brilliant fire that fuels your true purpose; this is what brings immense joy and satisfaction. Light Beings illuminating 1122 want to encourage your continued progress. The spiritual slumber that many periodically experience in life is over. You are being fully awakened, refreshed, and whole. Think of this like opening your eyes after a very deep sleep. At first, some confusion ensues because you’re not quite back in your body yet. After a while, however, you shake that off, and everything becomes more evident: That is the gift of 1122. Another aspect of 1122 is energy for building; this is a cornerstone moment in your life. You are about to find that one piece of the collective consciousness that holds ancient wisdom and unending love; this is how you evolve on all levels of being. You walk with confidence while honoring the sacred earth upon which you tread. Your sensibilities hone themselves and partner with pragmatic mindfulness. As you might expect, there is a lot of power in this Angel Number, and with that comes responsibility. While partnering with 1122, you will rarely feel comfortable. There is at least one itchy spot in your chakras that are intended to move you out of the ordinary into extraordinary living. That sensation will not let go of you until you heed the signs and omens presented in concrete form. Some things that help people move through 1122 successfully include visualization, meditation, and affirmations. The more you integrate your senses into spiritual efforts, the better the results. Our senses teach us about the plane in which we live. Metaphysical practices take those same senses and apply them to our spirituality and other realms. Add to that the support of Universal energy, Angels and Master Teachers and you have a huge well of transformative power from which to drink fully. It should be an exhilarating time in your life. Consider how long some people search and cry to the sky, “why am I here? What is the meaning of life?” You know how it feels. You have already been on that quest. Now you’re reaching the finish line where your life’s purpose comes to the forefront of daily reality. Perhaps the most important message of 1122 is that no person is an island. Humankind is a very large, diverse group and we need each other. Reach out and find people with common hopes and dreams. Initiate a plan and work together. Watch the wonders that result when a group of motivated seekers puts positive thought into action. While you are networking with other people, don’t forget to tap into your Higher Self too. Part of 1122 is learning to be our own best friend. Self-trust is hard for many people, but without it, you can never truly move forward. Ask those hard questions. Embrace your emotions and work them out. Ponder the mysteries and what they mean to you. One step, one moment at a time, you will merge into that pure light, and your Angels are waiting for you. So, what does 1122 mean when the Angel Number focuses on love and other relationships. The big message here is how important good people are in our lives. We are not created to march through life and learn all its lessons all by ourselves. Periods of being solitary are one thing, but years is totally different. That means even the shyest of souls need to get up and create opportunities for expanding their circles – be they spiritual, career oriented, family, or social in nature. Be aware that you are not stuck doing this alone. The Angel Love Number 1122 tells you that individuals are coming across your path thanks, in part, to the urging of the spiritual team overseeing your proverbial dance card. Your initial reaction to all this attention might be a temptation to step back but don’t; this is a very positive change that impacts a variety of situations in the best possible way. Stay Positive and continue relying on that maturing Higher Self for sound choices. On the flip side of socialization, you may find yourself a little more philosophical than usual about people when working with Love Number 1122. You wonder why they are the way they are, and about the choices, they’ve made. What this indicates is that you no longer look at others from simply a superficial vantage point. That depth enriches any relationship because it is the road that leads to true understanding (and in turn greater trust and harmony). 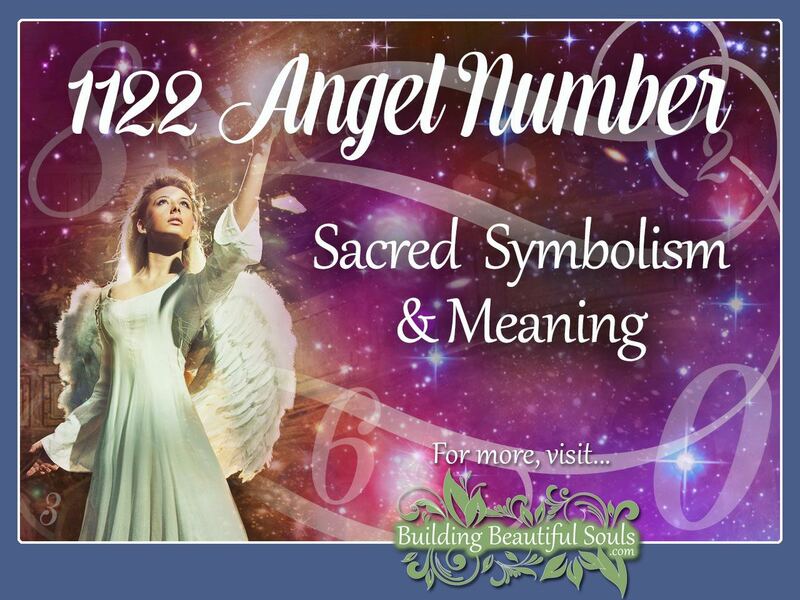 In Numerology and Angelic symbolism, the number sequence 1122 has meaning with specific parts. 11 is a Master Number. 11 is primary in the sequence, stressing all that comes after (Master Number 22). 11 indicates that some aspect of your life requires perfecting to the point where you truly own it. To accomplish this, you have to acknowledge your shortcomings as well as your strengths. ; this is not an easy task. Buckle in. 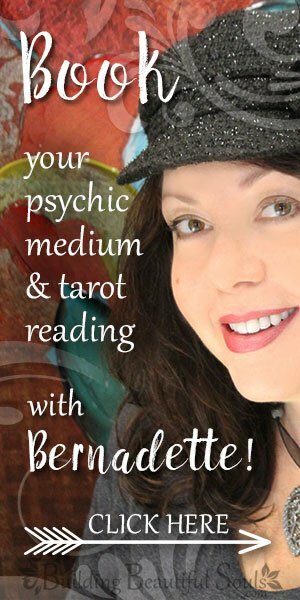 Some of the characteristics associated with Angel number 11 include patience, cooperation, insight, creativity, discretion, and psychic aptitude. Beyond that, Master Number 11 counsels us to mind our will and thoughts. Both generate energy that expands outward (remember all things are energetically connected). Therefore, you want to put as much positivity into your auric atmosphere as possible. In turn, your purpose and goals begin manifesting along with little blessings that dot the journey with periodic delights. Working with one Master Number alone is very challenging. You are being pressed toward doing your utmost best and even more so. Expectations run high along with your emotional responses. However, with 1122 we have two Master Numbers in the equation. Master Number 22 accentuates your efforts in sticking with your true North energetically and in your efforts. Those endeavors are tied to other people (partnerships) that improve things for everyone involved. Putting these two together in sacred number 1122 puts forward the advice of focusing yourself, working hard, continuing self-development efforts, and staying sensitive to the right time, place, and people. There are several ways we can review the number 1122 Biblically. First is by Chapter and Verse numbers. Matthew 11:22 speaks of our faith in the Divine. Romans 11:22 talks about the importance of continuing in God’s goodness and John 11:22 is a promise that whatever we ask of God receives some answer (by extension, just not always what we envisioned). Words that add up to the sum of 1122 in the Bible include offering (Exodus), hear (John), look (Acts) and strive (2nd Timothy). Considering the latter in a sequence, we can take away that after making an offering, one should listen for messages, look for answers and continue striving with due diligence. That’s a pretty powerful combination. When 1122 continues repeating long after you noticed those energies impacting your life it stresses the underlying themes of this Angel Number as they manifest daily. Your awareness grows, you are integrating important lessons – remaining mindful and pragmatic. Wisdom and love have truly blossomed alongside clarity. A LOT is changing, and it’s great! In effect, Angel Number 1122 heralds a new beginning where anything is possible. In show business terms, you are getting that “big break” that ushers in a whole new reality. From this point in time forward you can begin to right wrongs, create peace and build new loving relationships. Your guardian and guides are here to keep you upbeat and motivated. Yes, there is some hard work to be done, but no one ever died from applying old fashioned elbow grease to a goal. The Angels want you involved in your transformation. Trust your gut. Be assertive. Listen a lot and observe. There are important lessons all around you right now that help you in your quest.